Celebrate good times! 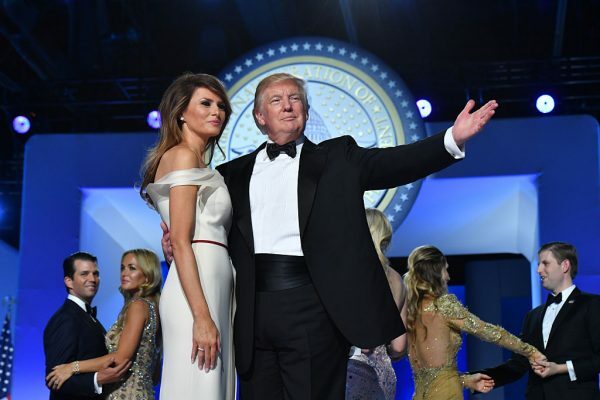 On Jan. 22, 2019, a wintery and romantic Tuesday in Washington, Donald and Melania Trump celebrated 14 years of marriage. Fourteen years and counting; what’s the secret to longevity, we wonder? Donald and Melania have both been quiet about their anniversary on social media, but we won’t allow that to quell our excitement on their behalf. Donald and his beautiful, accomplished wife, Melania, made their solemn commitment to one another in a lavish wedding ceremony back in 2005. The bride wore John Galliano for Dior; understandably, the groom could not keep his eyes off of her. Their wedding reception was just as fancy and flamboyant as their wedding, and with the groom a longtime business tycoon with extravagant properties the world over, we’d have hoped so too. The newlyweds threw an outstanding reception party for happy guests at their resort in Mar-a-Lago, Palm Beach, and have regularly spent vacations there since, perhaps in homage to the romance of their very first visit as a couple. Even business tycoons get nostalgic! The President and his First Lady are, of course, constantly subjected to rumors, political dispute, and even the scorn and envy of their contemporaries. It’s the presidential cross to bear. As a stoic married pair, they have remained supportive of one another through thick and thin, as any wedded couple should do. Despite the stresses of life in the White House, Donald and Melania seem always to support one another, and if copious photographic evidence is to be believed, they are still very much in love. And love is a thing to be celebrated. This is an anniversary, after all! Donald and Melania still hold hands in many of their photographs together, and are sometimes even spotted kissing, proving that time nurtures fondness. They are often pictured together at political and social events. They share friends and confidants, although none closer or more prized, of course, than one other. The loving couple are family-oriented, too. They are raising a son together: 12-year-old Barron. Supporters have covered social media with exclamations of congratulation for the presidential pair. So even if you’re keeping schtum on your 14th wedding anniversary, Donald and Melania, the world is excited! 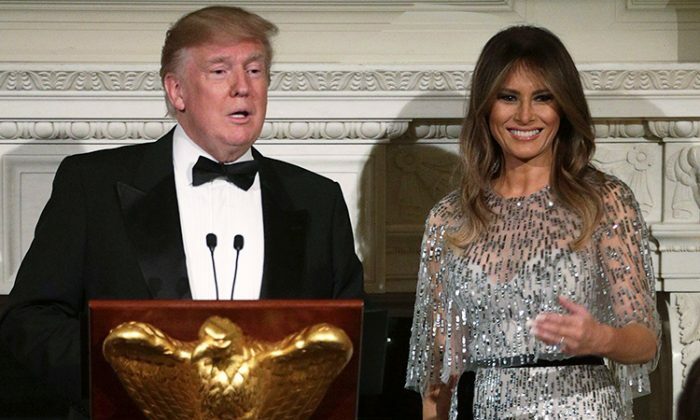 “Happy Anniversary @realDonaldTrump @FLOTUS May you have many more wonderful years together,” congratulated one supporter. And White House social event planner Jennifer Pickens has hailed the anniversary of the President and his wife on behalf of the happy couple. We hope that Donald and Melania continue to experience the deep love and companionship of long-term marriage for many more years to come. 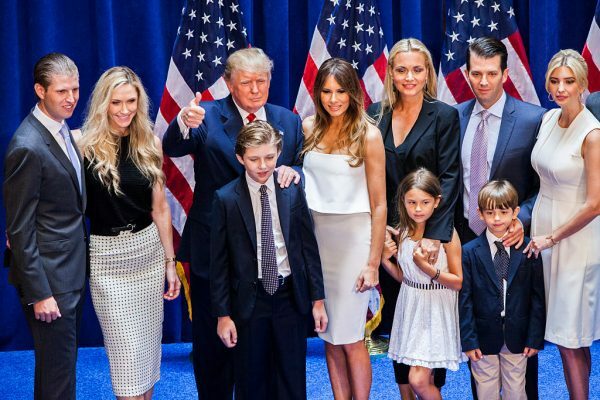 Congratulations, Trumps! Are you following the anniversary of Donald and Melania? Join thousands in wishing them the best by sharing on social media!